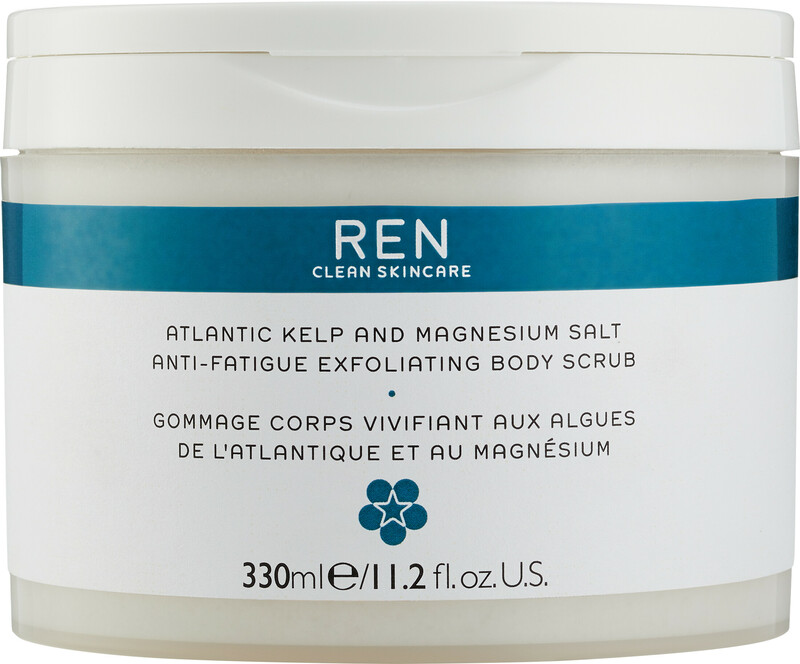 Keep your skin fresh and glowing with the REN Atlantic Kelp And Magnesium Salt Anti-Fatigue Exfoliating Body Scrub, a body exfoliator with added magnesium salts. 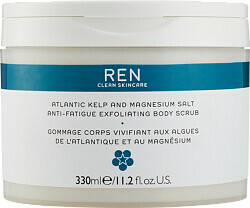 The REN Atlantic Kelp And Magnesium Salt Anti-Fatigue Exfoliating Body Scrub is a physical exfoliator that will buff away dead skin cells so that skin is left renewed and soft. Thanks to added Atlantic Kelp extract and Microalgae Oil, the lavish scrub will also replenish the skin’s moisture and essential minerals, leaving skin smooth and revitalised from top to toe. Ideal for activating micro-circulation and keeping skin polished and smooth, the REN Atlantic Kelp And Magnesium Salt Anti-Fatigue Exfoliating Body Scrub will also uplift the senses with its relaxing essential oil aroma. Massage onto clean, dry skin in circular motions for a few minutes. Rinse thoroughly in the shower. To further your pampering experience, submerge in warm bath once applied and watch the oils and salts diffuse for a luxurious bath soak.